BEALE, ANTHONY, succeeded John Fullartine as governor and chief commander for the HBC in James Bay; b. c. 1664; d. 13 April 1731 (o.s.) at Prince of Wales Fort. Anthony Beale joined the HBC as an apprentice in 1678. It is not known exactly where he obtained his initial experience of life in James Bay, or whether he ever came under the direct eye of Governor Charles Bayly*, but the latter’s successor, John Nixon*, referred to him as “Anthoney Beale alias Small Cole” in the list of men who were to spend the winter of 1682–83 at Albany Fort. As Beale did not return to England in 1685, when his apprenticeship ended, his father requested that the governor and committee allow his son to come back by the supply-ship of 1686. This application was granted, but circumstances intervened to delay young Beale’s return until 1687. The ship that sailed for James Bay in the spring of 1686 was wrecked in Hudson Strait on the outward voyage, and even before that disaster occurred Pierre de Troyes* had led a party overland from Montreal to capture the company’s posts (in spite of peace existing between the English and French crowns). Beale was among the men made prisoner when Governor Henry Sergeant* surrendered Albany Fort on 16 July. Fortunately for Beale, on his release, he was not one of the 22 miserable wretches who were left to drag out an existence in James Bay during the winter of 1686–87. Instead he was among the 50 or so people from Moose Fort, Rupert River, and Albany Fort who reached York Fort in the “Weake Leaky” Colleton yacht. Governor George Geyer* accommodated these unexpected arrivals either at York Fort or at New Severn during the ensuing winter. Beale reached London in the autumn of 1687. With two associates he delivered a statement to the committee on 18 November criticizing the way in which Sergeant had surrendered Albany Fort and hinting at other complaints which could be made about his conduct. Beale was re-engaged by the HBC but the duties he was expected to carry out for £12 per annum were not specified. He was, however, experienced in bayside conditions and must have been considered a useful member of the expedition led by Captain John Marsh*, which sailed from the Thames in the spring of 1688 with the object of re-establishing the company’s right to trade in Albany River without annoying the French, or “Disturbing them” unless they began hostilities. Orders for the recapture of Albany Fort (now called Sainte-Anne) were not given because the truce between the English and French crowns was not due to expire until 1 Jan. 1688/89. The expedition was a complete failure and by the spring of 1689 all the surviving members of the English party were prisoners of Pierre Le Moyne d’Iberville. Later in the season most of the Englishmen were released, but several of the most experienced were sent overland to New France with the obvious aim of depriving the HBC of their future services. Anthony Beale was among this number. Because war had broken out between England and France earlier that year, Beale and his companions endured “miserable Servitude” in New France until the summer of 1691 when they were sent to France and imprisoned at La Rochelle. Beale’s wife Mary (whom he must have married after returning to England in 1687) was among those who petitioned Queen Mary on 1 Oct. 1691 for help in getting their husbands released. The war continued, but Beale was freed in time to enter into a more financially rewarding contract with the HBC and to sail from the Thames in the Royal Hudson’s Bay (Capt. Michael Grimington) in the spring of 1692 as a member of the expedition, led by Captain James Knight, to recapture Albany Fort. After wintering on Gilpin Island off the East Main, Knight mounted the attack on 22 June 1693; as the French were only about six in number the English party was able to overcome their resistance without difficulty. Beale’s third term of employment in James Bay (which began with the committee’s order to Knight to have “some Regard” for him as an old servant) was a lengthy one, lasting until 1708. During this time he rose from the position of an experienced and useful assistant to that of governor. The period was a particularly critical one in the company’s history, but Beale himself was not again involved in any clash with the French because, from 1690 to 1697, their efforts against the HBC were directed to the Port Nelson area and they did not attack Albany Fort again until 1709. But Beale’s career might have suffered a third interruption or indeed have been ended if the treaty of Ryswick (1697) had operated in Hudson Bay. As events turned out, York Fort remained in French possession after Iberville’s naval victory off Hayes River in 1697, and Albany Fort, which should have been exchanged for it, was retained by the HBC and remained its only possession in Hudson Bay until 1714. With England’s entry into the War of the Spanish Succession in 1702 the threat of an attack on Albany was renewed. The stages by which Beale rose to the highest position at Albany Fort were gradual. He served there under Governor Knight from 1693 to 1697, and was one of John Fullartine’s “few hands” in 1697–98. In the winters of 1698–99 and 1699–1700 Beale was responsible to Knight for the East Main trade which was carried on from an island base off the coast, and when the governor again left for England in the autumn of 1700 he made Beale deputy to the new governor, Fullartine. Beale’s appointment was confirmed by a commission from the committee in 1701. He spent one more winter (1700–1) as chief trader off the East Main, but after that he fulfilled his duties at Albany, and Henry Kelsey managed the East Main trade. It was partly Beale’s reputation as “a very careful, honest man” who understood the company’s business “as well as most men that ever were in it,” that earned him his appointment as governor in 1705. The commission sent to Beale that year constituted him governor and chief commander of Albany, Moose, and Rupert Rivers, and of all the territories within Hudson Bay and Strait, as well as upon the East and West Mains. But in reality Beale’s powers did not extend beyond James Bay because the French were still in possession of York Fort (renamed Fort Bourbon). 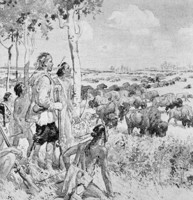 With all due ceremony Beale’s commission was read to the assembled inmates of Albany Fort on 13 Sept. 1705 and Fullartine embarked on the Hudson’s Bay [II] for England. But he returned to the fort on 25 September to report that Captain Michael Grimington was sick, and that after the ship had run aground it had not been possible to get her out of Albany River until it was too late in the season to risk the voyage to England. The council met to discuss the awkward situation that had now arisen and, according to the minutes (which Fullartine signed as one of the members), agreed unanimously that the Hudson’s Bay should winter at Gilpin Island off the East Main where Fullartine would trade on behalf of the company. But Fullartine (according to Beale, whose account of the affair is the only one to survive) had second thoughts and argued that he was still governor. Beale, however, firmly refused to yield even though Fullartine probably claimed that his commission from the crown (which had not been revoked) entitled him to resume command. It was by crediting Beale’s account with only £100 (his salary as deputy governor) for the season 1705–6 that the company expressed its disapproval, and although Beale pressed his claim he did not receive the additional £100 until June 1710. Beale’s letter of 23 July 1706 to the governor and committee is the second written from Albany Fort to survive in the company’s archives. It is the letter of a blunt man who did not hesitate to scold the committee for its shortcomings, especially in omitting to send a ship annually to Albany River to relieve the needs, not only of employees, but of Indians who had grown dependent on the company’s goods. Beale’s Albany Fort journal for the season 1705–6 is of particular interest; it is the first from any trading post to survive in the company’s archives, and the short matter-of-fact entries reveal a great deal about life and duties at the bayside under the threat of attack from the French. Although he had had little or no formal education, Beale was commanding in the summer of 1706 the sole British possession in Hudson Bay with but 27 men and the prospect of only irregular communication with London. Beale’s term as governor ended in 1708 when he returned to England at his own request. An accusation of illicit trading in furs was brought against Beale in 1710, and though a lengthy investigation took place, no record remains to show the result. Whatever the verdict, the governor and committee were glad to secure Beale’s services at short notice in 1711. This was because James Knight was prevented by illness from going to Albany Fort to relieve John Fullartine and because the deputy governor on the spot, Henry Kelsey, having formerly expressed a wish to return home, could not be relied on to remain. It was undoubtedly with the experience of 1705 in mind that Beale requested, and obtained, from the queen a commission in order “Better to maintaine his Government.” By it he was constituted governor and commander-in-chief in place of John Fullartine of all the company’s posts in the Bottom of the Bay, particularly of those on Albany, Moose, and Rupert Rivers, and of all others which had been newly settled or recovered from the enemy; in fact Albany Fort was still the only HBC possession in operation. 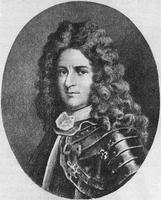 Beale was also commanded to act both defensively and offensively against the French. The arrival of not only Beale but also his former deputy, Nathaniel Bishop, on 26 Sept. 1711 after a bad passage in the Pery (Capt. Richard Ward) was a blow to Kelsey, who had been left as governor on Fullartine’s departure the previous month and who now had to drop into a subordinate position. Both Kelsey and Beale were deserving but circumstances had favoured Beale at a time when the HBC had only one settlement and a number of employees worthy of recognition and promotion. Like Beale they too had loyally endured privations while prisoners of the French and had acquired experience and ability in the fur trade. By the time Beale’s contract expired in 1714 the situation in Hudson Bay had changed. The Treaty of Utrecht (1713), which ended the war in Europe, provided for the restoration of York Fort to the HBC. James Knight was sent by the company to York Fort as commander-in-chief, and because Richard Staunton* who was already at Albany was willing to serve there as chief factor responsible to Knight, Beale was recalled to England. Beale applied for re-employment in 1718 but there was no station for him to fill. Although the situation was unchanged in 1720 he was engaged at £50 per annum to serve under Kelsey at York Fort. Orders were sent to Kelsey stating that Beale, who was to be employed where he would be most useful, was to have a seat on the council and be treated “very Civilly.” Beale, who was in command at York Fort during Kelsey’s voyage northwards to trade with Eskimos in the summer of 1721, received his official appointment as “second” later that year. From 1722 to 1726 he served for £60 per annum, in a similar capacity under Kelsey’s successor, Thomas McCliesh*. Beale spent his last season at York Fort (1726–27) in command when McCliesh was absent in England and then went to Churchill River (Fort Prince of Wales) as “chief commander.” He had been sent there to revive the trade and also to clear up the disorders which had grown while his predecessor, the young and inexperienced Richard Norton*, had been in charge. These tasks were performed by Beale to the satisfaction of the committee, but he was now approaching 70 years of age and in 1730, on account of failing health, he requested leave to return to England the following year. He died, however, on 13 April 1731. Thomas Bird who assumed command recorded that Beale was buried with full honours at Fort Prince of Wales on the following day. Beale was survived by his wife (apparently his second one), Joanna, and their daughter, Frances, who were domiciled in England, as were all families of company employees at this period. Beale’s rise from humble beginnings is evidence enough of character and purpose. His abilities were limited, perhaps because of lack of much experience in the world beyond Hudson Bay, but his courage, loyalty and knowledge of the fur trade and Indians were important to the HBC, particularly during the time when it had only a precarious foothold in Hudson Bay. Alice M. Johnson, “BEALE, ANTHONY,” in Dictionary of Canadian Biography, vol. 2, University of Toronto/Université Laval, 2003–, accessed April 25, 2019, http://www.biographi.ca/en/bio/beale_anthony_2E.html.